Ove again we are back at the Wight Rock Bar, Lind Street, Ryde. The evening will start at 7:30pm and throughout the night sounds of Latin America and Cuba will resonate though the bar. 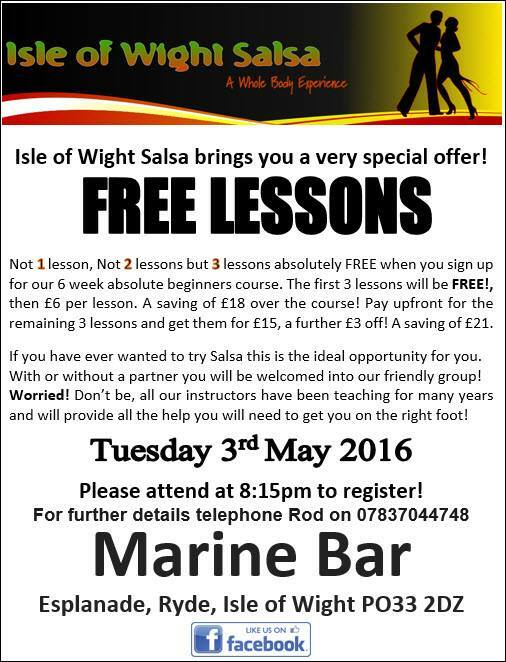 A great opportunity for salsa dancers on the Isle of Wight to come out and party.